A TV news director was hiring a sports anchor/reporter. One applicant caught his attention but his reel featured a highlights montage and nothing else. The employer liked what he saw but didn’t ask the applicant to send additional video. He already had enough similarly qualified applicants whose reels provided what he needed. Don’t miss out on a job because your reel is improperly constructed. Start your reel with a 60 to 90 second montage. Closer to 60 is better. Most news directors get what they need within that time. Within the montage, feature yourself in several different looks. I don’t mean wardrobe. Rather, things like you behind the anchor desk, doing a live in-studio standup, or doing a stand-up in the field. Clips from on-site game previews and recaps work great. 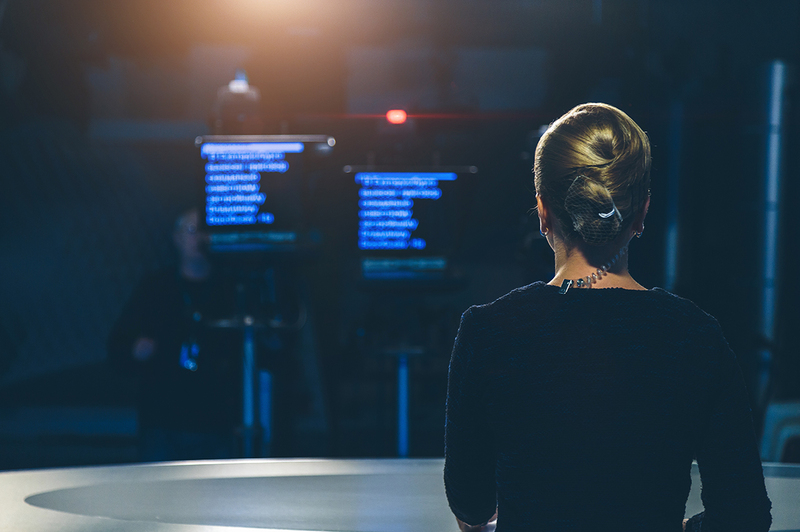 The next part of your reel should feature three reporting packages. Make them different and include them in their entirety. Maybe one of them is a game preview. Another is a sports feature story. The third should be a hard news story – a sports story that could lead the newscast. It might be something like a coach getting hired or fired or a player getting arrested. Include a complete anchor segment on your reel. You can scope it a little bit if you are tossing to a live shot from another reporter. Include your introduction to them, take out the middle of their report, then resume with you back in studio. Don’t scope much more than that, though. Employers want to see how you put your sportscasts together. If you are more sports anchor than reporter, put the anchor segment ahead of the packages. In today’s job market, your demo should be on your personal website. With that in mind, make each segment its own track/video. It makes your demo MUCH easier for employers to navigate than putting everything in a single video clip. If you are an STAA Member, you can visit the STAA Members site for our best advice on how to construct your demo.